One cannot cover Elmer Noble’s career without including reference to his twin brother, Glenn. The two of them not only grew up together but also pursued remarkably parallel careers thereafter. They were born in Pyongyang, Korea on January 16, 1909 of missionary parents, attended high school in Seoul, and came to the U.S. as students at the Berkeley campus. The two brothers were vastly amused by being identical twins, often playing jokes on each other and on others — sometimes one of them assuming the role of the other. One incident at Berkeley involved one of them, an expert gymnast, who claimed to be the fastest runner in the world. He demonstrated such by leaving the building, running around the block and coming in at another door in record time. Unbeknownst to those in attendance, it was his brother, dressed identically, who had entered the second door. Elmer and his brother Glenn arrived at Berkeley quite deficient in background, resulting in probation by the end of their first year there. Both quickly recovered, academically. Elmer continued at Berkeley and earned his B.A., M.A., and Ph.D. degrees before taking a position in 1936 at what was then Santa Barbara State College. His wife, the former Nancy Burnell, became an accomplished artist. Until 1935, Santa Barbara State College had a very regional and vocational mission (teaching, home economics, and industrial arts). Elmer was only the fifth Ph.D. to join the faculty! Hence, it is impressive that at an institution of that sort he was able to publish his doctoral research and initiate and complete a variety of other studies, some taxonomic and some on cell cycles of myxozoans, parasitic amoebae, and trypanosomes. These included an important review on life cycles of the Myxozoa. In the 1940s and 50s, history was being made in higher education in California. Elmer was to play a surprisingly key role in one of these events. The economy and the population of California were booming. Local Santa Barbara politicians proposed raiding the California State College system and shifting the Santa Barbara campus to the University of California. 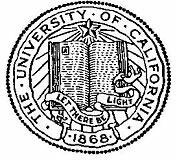 This venture succeeded despite strong opposition from the State Board of Education (reluctant to lose a campus), local faculty (fearing loss of their positions and fields), the President of the University of California (Robert Gordon Sproul), the Regents, and the faculties of the two extant campuses (UC Berkeley and UCLA). Despite such resistance, in 1943 Governor Earl Warren signed a bill transferring the campus to the UC system as the University of California Santa Barbara College, designated as a selective liberal arts college, its faculty restricted as to rank, salary and privilege (compared to Berkeley and UCLA). It remained an orphan campus for 16 years. Provosts were appointed and resigned in quick succession until Elmer Noble was appointed Acting Provost in 1956. Working in concert with Clark Kerr, the dynamic new President of the University of California, Elmer oversaw the successful transition of the College to a full-fledged research University, the third in the UC system. The experiences with the difficult birth of UCSB led to the development of the famed California Master Plan for Higher Education in 1960. This move ended transfer of the units between the segments of the system, limited mission creep on regional campuses, and formalized the present roles of the University of California, the California State University and the Junior College systems. These events are generally regarded as the organizational basis for the establishment of the University of California as the nation’s, and perhaps the world’s, preeminent public university system. The institutional chaos at UCSBC was resolved when Provost Noble, following President Kerr’s philosophy, presented the first Academic Master Plan for the campus. Noble wrote to Kerr, “During the past two years there has been a widely accepted conviction at Santa Barbara College ... that this campus must extend far beyond the limits originally envisioned.” His plan included the granting of PhDs, admissions standards equivalent to UC Berkeley and UCLA, expanded enrollment, a comparable student to faculty ratio, and new programs of advanced study in theoretical physics, marine biology, East Asian, and Hispanic studies. This plan was accepted and acted upon, the campus being renamed the University of California Santa Barbara, thereafter emerging as a research campus with strong graduate programs. It is interesting to note Elmer’s selection of fields of emphasis. Theoretical physics and marine biology are now major strengths at UCSB, and the plans for ethnic studies presaged the importance of the Pacific Rim and Latin American studies in California. Provost Noble guided the transition to the newly appointed Chancellor, Samuel Gould, at which time Elmer served as Vice Chancellor until 1961. Elmer sequentially served as the first chair of the Department of Biological Sciences (1947-1951); Dean of the Division of Letters and Science (1951-1958); Acting Provost (chief campus officer at the time, 1956-1958); Vice Chancellor and Chief Campus Officer (1958-1959); and Vice Chancellor for Graduate Affairs (1959-1961). During his tenure in those positions, academic planning also led to the awarding of master’s degrees in 1954 and authorization to grant Ph.D. degrees in 1958. Elmer’s research in protozoology and parasitology assumed two major new dimensions: ecological studies of parasites and the exploration of deep-sea pelagic and benthic parasite faunas. He was one of the first parasitologists to also publish in premier ecological journals. He received many research grants for his program, including some from the National Science Foundation, the National Institutes of Health, and the Office of Naval Research. During his career Elmer was also Visiting Research Investigator at the University of Washington Friday Harbor laboratory, Research Investigator at the marine laboratory in Plymouth, England, and he participated in the First International Conference on Protozoology held in Prague, Czechoslovakia. The Santa Barbara campus honored Elmer in 1955 by selecting him as the first Faculty Research Lecturer on campus, the highest honor given by the UCSB Academic Senate. Other honors include his election as president of the Society of Protozoologists in 1972 and the American Society of Parasitologists in 1977. Elmer and Glenn co-authored the definitive textbook, Parasitology: The Biology of Animal Parasites. The first edition appeared in 1961. It became the major text in the field for decades. The brothers met halfway between Santa Barbara and San Luis Obispo to execute the many revisions, with the 6th edition published in 1989 when the twins were 81 years old. In total, Elmer Noble produced 58 papers in parasitology in addition to the editions of the text and a few papers on miscellaneous topics. His publication record spans a remarkable 53 years. None of the above documentation fully reflects the special warmth exuded by Elmer in his relationships with family, students, colleagues, the campus, and all his friends in the community. He deeply appreciated traveling, ocean research cruises, noon walks around the campus lagoon, and membership in “The Little Men’s Marching and Deep Thinking Society.” After retirement in 1972 he continued his research on campus — arriving early in the morning every weekday unless he was on a cruise or attending a scientific meeting. Professor Noble’s steadfast devotion to the campus and its students, as well as his skilful administrative talents in the formative years of UCSB, especially with respect to graduate education, led to dedication of the first permanent biological sciences in his name in 1978, the Elmer Ray Noble Hall. Elmer said it was “a noble building”. Elmer died of pneumonia on March 8, 2001. His brother, Glenn, died three months later. Three daughters and one son survive Elmer.